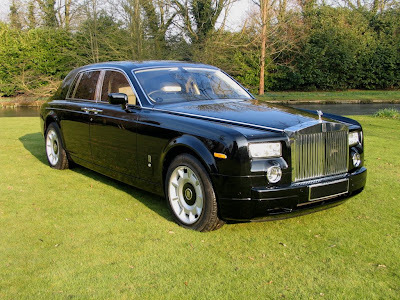 Rich Chinese love big cars just like everybody else, so why shouldn’t its own local giant car manufacturers offer one to the Chinese and the world at an unbelievable attractive low price but still carry the elegant Rolls Royce's image. 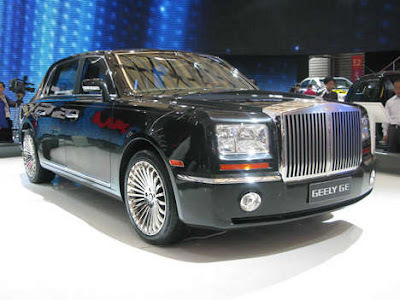 This is exactly what Geely, a local car manufacturer did by offering an obvious knock-off of the Rolls Royce, called the Geely Excellence (GE) Limousine at the Shanghai Auto Show. Check out the front grill, the winged hood ornament, the wool carpets, all marks of the famous Rolls Royce. Thanks for this blog of the Shanghai Auto show and hope you have another great visit to China.